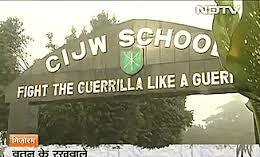 Aizawl, Aug 11 : Colonel Ravinder Singh, who is posted at the Army's Counter Insurgency and Jungle Warfare School (CIJWS), was arrested by Vairengte police for threatening a man in a shop last week with a knife. Locals in Mizoram’s Vairengte village have asked state Governor Nirbhay Sharma to help remove an Indian Army Colonel to prevent “civil-military animosity and conflict” after the Colonel was arrested for the second time in a month by police due to his alleged violent behaviour, including threatening a local man with a knife. Colonel Ravinder Singh, who is posted at the Army’s Counter Insurgency and Jungle Warfare School (CIJWS), was arrested by Vairengte police for threatening a man in a shop last week with a knife. He had been arrested and later charge-sheeted for allegedly assaulting a fellow-Colonel in the school campus a month before. The local unit of the Young Mizo Association, the state’s largest community-based organisation with members in bvirtually every household, on Monday submitted a letter to Governor Sharma asking that the Colonel be removed from the school and listed out complaints by villagers. These include the Colonel playing football outside church buildings during Sunday church services, moving around the village with guns, machetes and other weapons and terrifying residents, presenting gifts to women after they make it clear they do not want them and visiting them at odd hours in their shops, workplaces and even homes, knocking on locals’ doors late in the night and one time removing a porch light-bulb, and general public drunkenness. “Our young men have developed a sense of enmity against him,” the YMA wrote in the letter to Governor Sharma, adding the Colonel’s continued presence might lead to “unwanted commotion breaking out in the village”.